A County Court Judgement (CCJ) is a judgement issued by the court when you have failed to meet the payments as part of a credit agreement such as a personal loan, utility bill or credit card. A court can order a CCJ if it believes that you owe money to a creditor, with the order detailing what you should pay based on what you can afford. The amount agreed in the CCJ may be lower than the original debt. How does a CCJ work? If a creditor believes that they are owed money, they can issue a County Court action against you to recover the debt they claim to be owed. 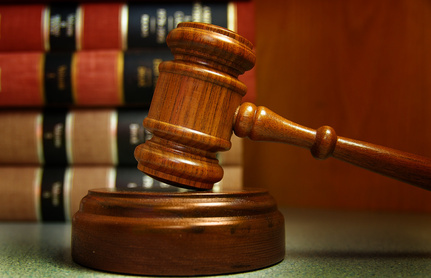 Once the court receives this action, you will be given the opportunity to respond to or dispute any claim. The court will then take both claims into consideration and pass judgement on whether you owe any money and how it should be repaid. If the court decides that you should repay your creditor, then it will order a CCJ. This will be an agreement between you and your creditor or, if you can´t agree, an amount defined by the court based on what you can afford will be applied. If you have judgments from more than one creditor, the court can combine your debts and make an “administration order”, meaning that you must make a single payment every month to be shared by each your creditors. If you do not keep up with the payments, the creditor can ask the court to take steps to make you pay, which could lead to you incurring further costs. Will a CCJ affect my ability to get credit in the future? A CCJ will be recorded on the Register of County Court Judgments for a period of six years. Organisations such as banks, building societies and loan companies often refer to this register as part of their credit checks procedure and may take this information into consideration in assessing your credit application. How can I avoid a CCJ? You can dispute any County Court action that is made against you if you do not believe that you owe your creditor any further payment. A CCJ will also be kept off-record if you pay back the agreed amount within one month.